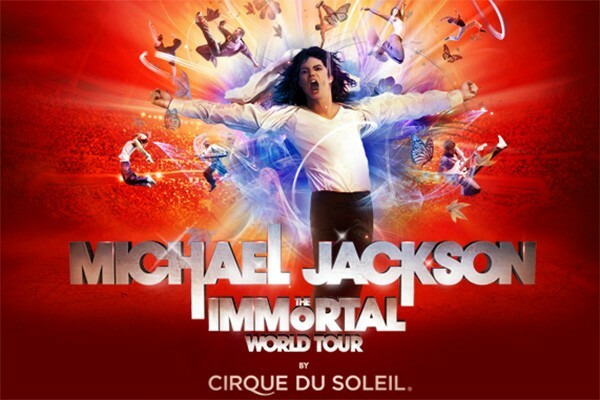 Cirque du Soleil is bringing the grand spectacle of a Michael Jackson tour back to life in THE IMMORTAL World Tour. Writer and director Jamie King combines the music and spirit of Michael Jackson with the stunning acrobatics of the Cirque du Soleil troupe, literally turning the King of Pop's signature moves upside down. The show is aimed at both lifelong fans and those experiencing his legacy for the first time with the hope of helping his music continue to transcend generations. After a year of development, the tour premiered at Montreal's Bell Centre on Oct. 2 to an audience that included Jackson's mother, brothers and three children. It's part of a seven-year, 10-project, $250 million deal between the Michael Jackson estate and Sony Music that was announced in March of 2010. The theatrical performance will appear at the Spokane Arena for two performances on Nov. 12 and 13. Reserved tickets cost $50 - $250 and are on sale now at the Spokane Arena Box Office, all TicketsWest outlets, TicketsWest.com or by phone at 800-325-SEAT.